McRay Magleby is an artist and retired professor of art. He earned a bachelor’s degree in art from Brigham Young University. At BYU he served as creative designer of BYU Publications & Graphics until 1996. He also taught at the University of Utah, retiring in 2008. Magleby was commissioned for several historic events. 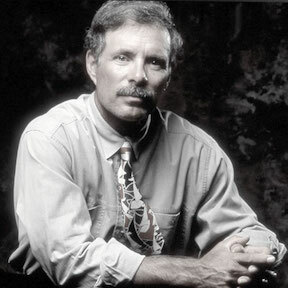 He created the first Cultural Olympiad poster for the 2002 Olympics and he also designed a carving for the Governor's Mansion for the 100th anniversary of Utah. 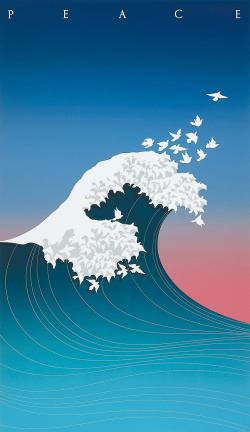 He designed the Wave of Peace poster, commemorating the 40th anniversary of the bombing on Hiroshima. 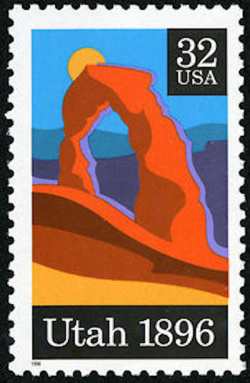 Magleby designed the Utah Centennial postage stamp. This was a first-time honor for him. The selection process was rigorous and he was told that the stamp needed to represent the entire state and must avoid anything of a political or religious nature. "The Delicate Arch seemed to be unique to Utah," he said. "It has become the unofficial symbol of the centennial and is on license plates, milk cartons and other places." Magleby was named "Designer of the Decade" in 1986 by the Council for Advancement and Support of Education. His most recent award, from HOW magazine, named him as one of the "12 most influential designers" in America. In 1987 BYU awarded him with the Honorary Alumni Award. In April and May 2012, his art was featured in the Covey Center for the Arts exhibit Seasons in the Rockies: Landscapes by McRay Magleby. Magleby is a member of The Church of Jesus Christ of Latter-day Saints.